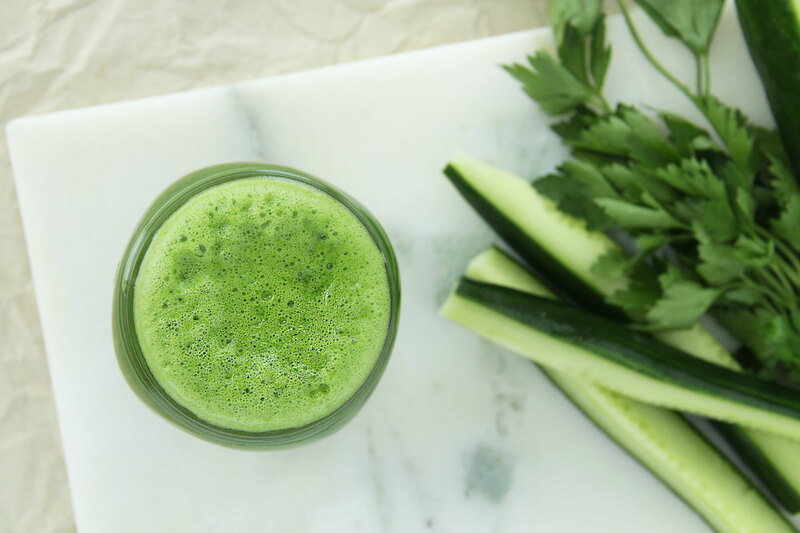 This is a powerful, cleansing, mineralizing and one of our all-time favorite green juice recipes. Great for anytime time of the year, however super beneficial if made in the cold winter months to help move the blood and stimulate the immune functions. Green leafy vegetables, like kale, parsley and cilantro, are very useful for removing toxins from the blood and work to alkalize the body’s PH. It is also a very helpful drink for eliminating parasites and will assist in moving the bowels if constipated. Anti-parasitic, anti-fungal, anti-viral, anti-inflammatory, dissolves mucus, enhances circulation, stimulates the digestive system, protects cells from free radicals (anti-aging), energizes, hydrates, alkalizes the blood and lymph, cleanses the liver, gall bladder, kidneys, bladder, GI tract, and more. Drink it first thing in the morning and on an empty stomach for best results. 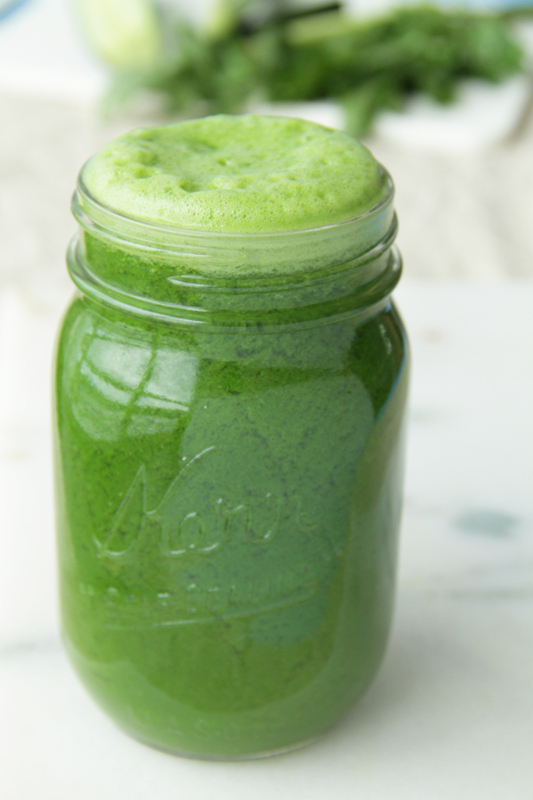 Place all ingredients through a juicer and strain for smoothest results. Drink and enjoy! 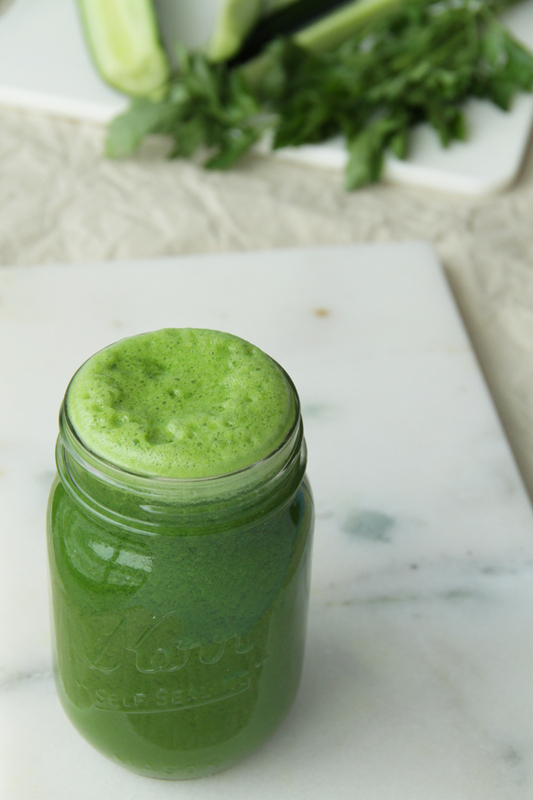 We hope you give this powerful green juice a try! 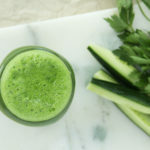 Hi – what do recommend if you don’t have a juicer. i have a really great blender but know that this will be too thick by blended by itself. I have a Ninja and I have been using cheesecloth to separate the pulp, works good, messier than a juicer I would suspect but one less apparatus, for now.